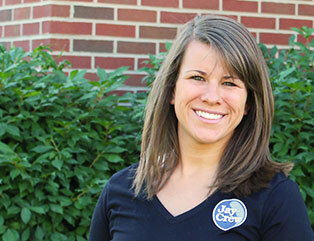 Hi, I’m Cheryl Crabtree, one of the Relationship Managers at Jay-Crew. As a native to Muncie and a Ball State graduate, I have always enjoyed this community and spending time outdoors. I started as part of the maintenance crew for Jay-Crew and quickly gained a significant amount of appreciation for the hard word that goes into landscaping. It is very rewarding to see a project completed by our team on full display for everyone that drives by to see. I take great pride in that! I currently live in Muncie with my husband Tyler. We spend lots of time working on making our house a home, but we also enjoy all kinds of fun activities – running, kayaking, fishing, and working with our horses.